Enjoy luxury and tranquility in this exceptional modern residence. A warm, contemporary retreat, which contains spectacular design elements. Situated at the end of a cul-de-sac, on a private 3+ acre lot, this setting provides the ultimate in privacy and views. 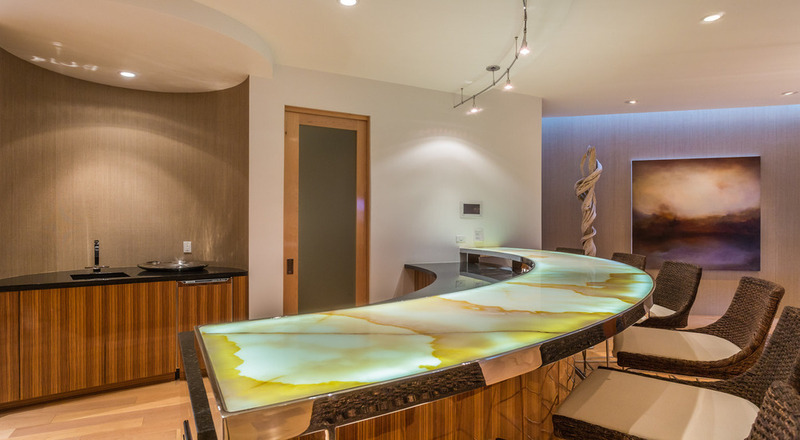 Vast rooms of glass capture the dramatic, downtown Phoenix and surrounding mountain views from every room. 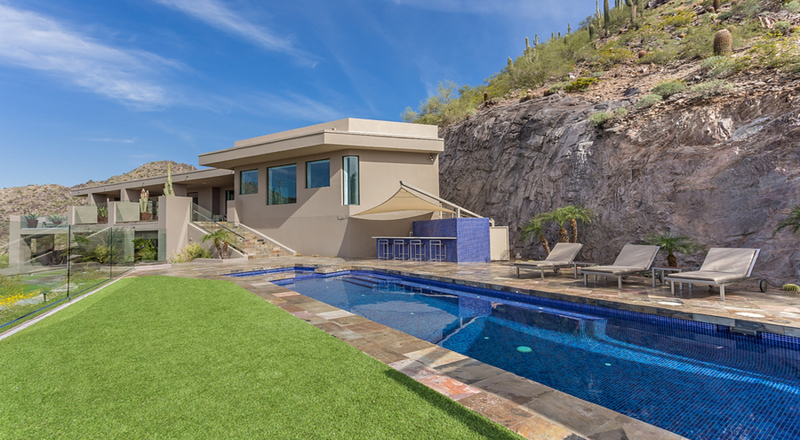 Step outside any room to the covered patios and take in the best views in the valley. Extravagant master suite with his & her baths, two walk-in closets, exercise room, wet bar, gas fireplace, spectacular city light views and easy access to the pool & spa. The four additional en-suite bedrooms offer private guest accommodations. Main kitchen features Balthaup natural aluminum & glass cabinetry and a 700 bottle wine room. Lower level kitchen is adjacent to the media & game rooms. 2-car upper & 7-car lower garage with heating & cooling, providing an additional 2,800 sq.ft. Guard gated & privately gated entry with remote video & audio monitoring. The lounging area is on par with the best resorts in Paradise Valley. Heated pool & spa, bar with sink & refrigerator, sunshades, and lounging areas with dramatic views and total seclusion. See it to believe it. Offered at $6,750,000. Enjoy luxury and tranquility in this exceptional modern residence. A warm, contemporary retreat, which contains spectacular design elements. Situated at the end of a cul-de-sac, on a private 3+ acre lot, this setting provides the ultimate in privacy and views. 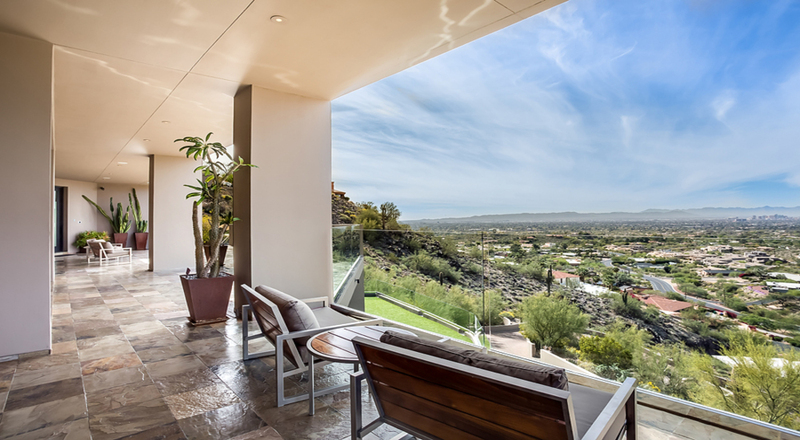 Vast rooms of glass capture the dramatic, downtown Phoenix and surrounding mountain views from every room. Step outside to the covered patios and take in the best views in the valley. Extravagant master suite with his & her baths, two walk-in closets, exercise room, wet bar, gas fireplace, spectacular city light views and easy access to the pool & spa. The four additional en-suite bedrooms offer private guest accommodations. 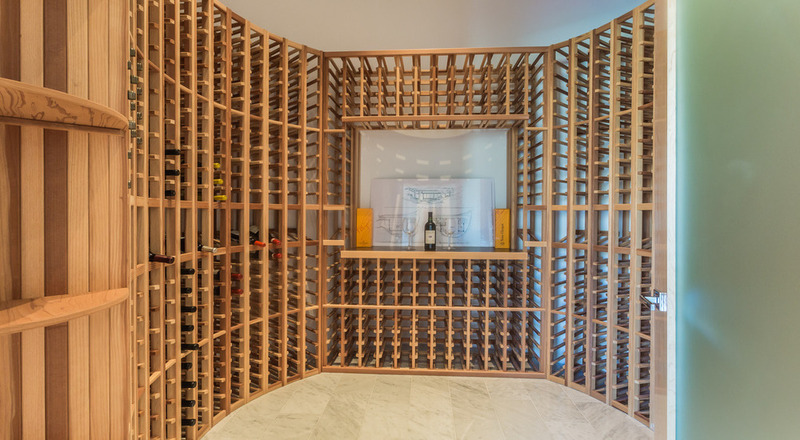 Main kitchen features Balthaup natural aluminum & glass cabinetry and a 700 bottle wine room. Lower level kitchen is adjacent to the media & game rooms. 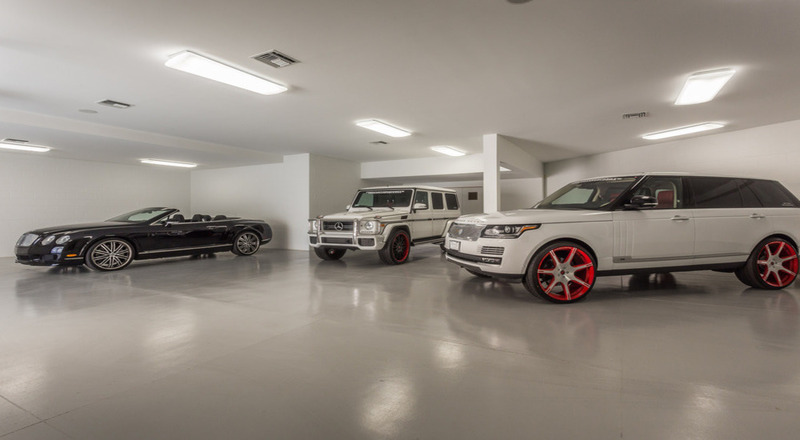 2-car upper & 7-car lower garage with heating & cooling, providing an additional 2,800 sq.ft. Guard gated & privately gated entry with remote video & audio monitoring. The lounging area is on par with the best resorts in Paradise Valley. Heated pool & spa, bar with sink & refrigerator, sunshades, and lounging areas with dramatic views and total seclusion. See it to believe it. Offered at $6,750,000.